Can you imagine a world without paper receipts? Well, it might be closer to reality than you might expect. The key chemical component utilized in the receipt paper is about to become low in supply and high on demand. This shortage is expected to dramatically raise prices on the paper that is used to give us our receipts at gas stations, restaurants, retail shops, and more. With an impending rise in direct thermal paper prices on the horizon, many companies might look to go paperless. So what happened and how did we get here? In early September, tens of thousands of Chinese manufacturers were shut down by the Chinese Government due to a renewed enforcement of environmental regulations. Chinese officials had grown tired of all the pollution caused by low value manufacturers and decided to take a more proactive approach. 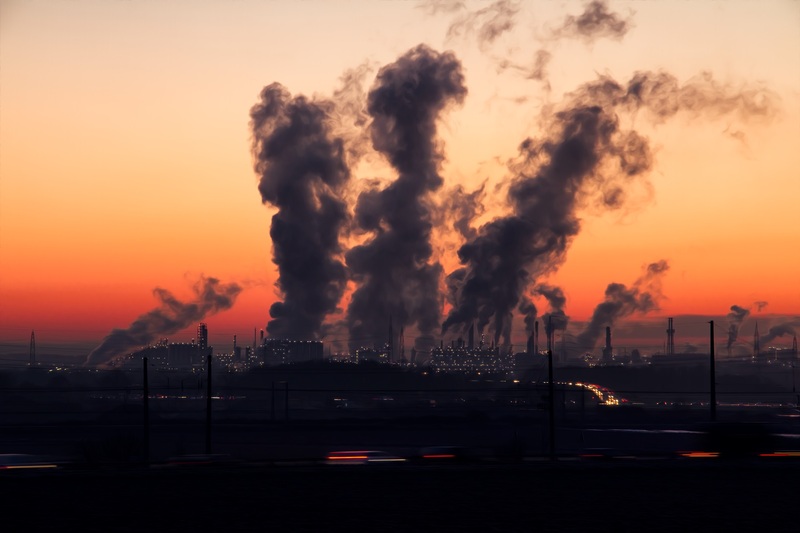 It is estimated that over 80,000 factories have been either shut down, fined, or hit with criminal offenses as a result of their emissions. 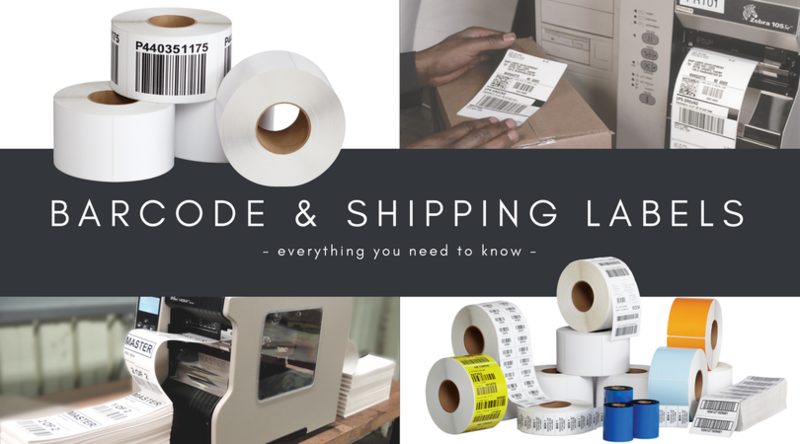 Leuco is the key component in direct thermal paper, which is the paper that is printed on and used for receipts, shipping labels, airlines tickets, and much more. Shutting down Connect Chemical has begun to put a gigantic squeeze on the thermal paper supply chain world wide and could have a huge impact on several different industries moving forward. After the announcement that Connect Chemical had been shut down, the prices for leuco skyrocketed to 5 times their normal price. At this time, it is anticipated that Connect Chemical will reopen in the summer of 2018.1 However, nothing concrete has been determined. 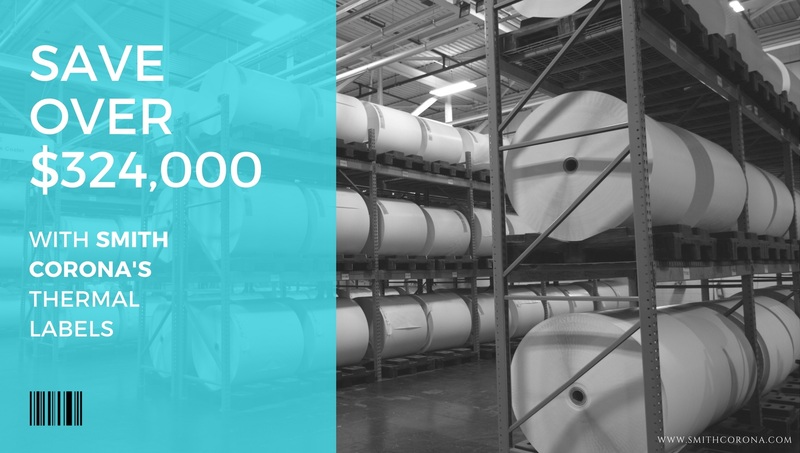 The industry that will initially be most heavily impacted by the shortage of leuco dye is the already turbulent receipt paper industry. In recent years, the receipt paper business has become a cutthroat race to the bottom. In fact, reduced margins and a general reduction in market demand for receipt paper has lead several high profile mergers. On November 2nd, 2017, Iconex, a receipt paper giant, acquired two other top 5 receipt paper companies: RiteMade Paper Converters and PM Company. Overall, the combination of an already deteriorating industry and a low supply of receipt paper could usher in a whole new wave of retailers deciding to go paperless with their receipts. Saving money — and a lot of it — isn’t the only reason retailers want to go paperless and convert from paper receipts to e-receipts It’s all about the image and emails. Sustainability has become a hot topic with major retailers in the past decade. Many customers make their decisions in accordance to a company’s environmental consciousness. 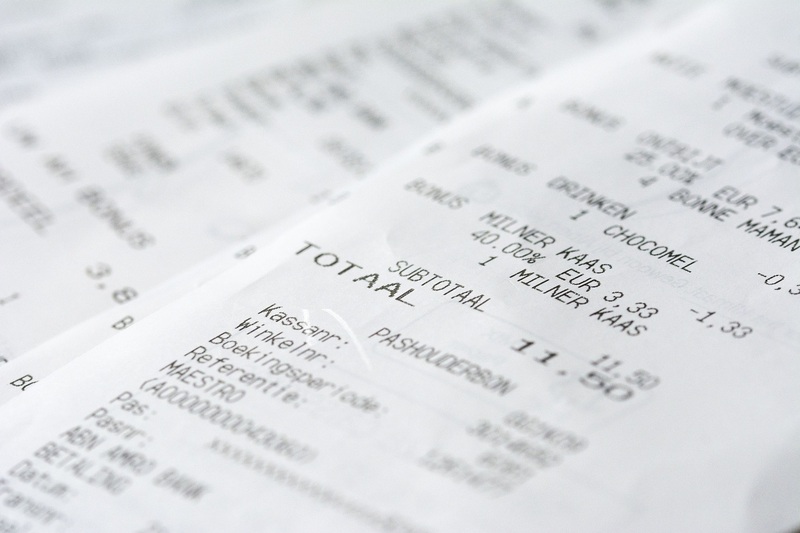 The idea of eliminating receipts to help reduce waste is the perfect vehicle for retailers to initiate this change. 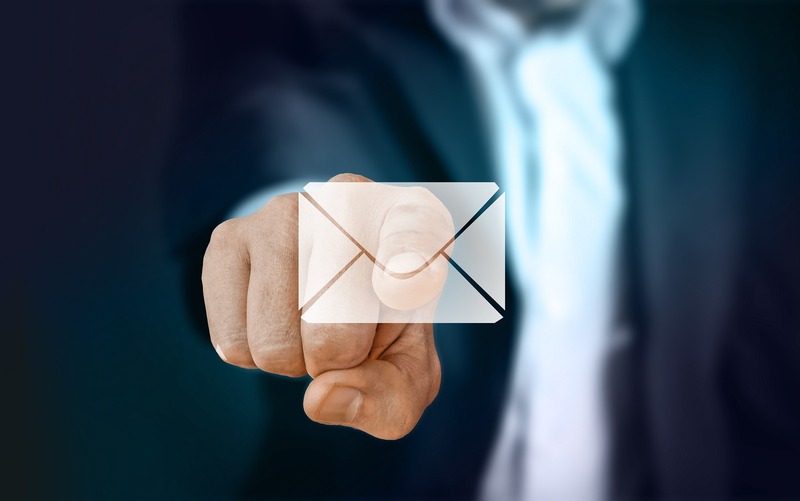 However, the biggest win for retailers is getting YOUR email address. Now, they have the ability to market new specials and product recommendations to you. This isn’t quite the deal with the devil that retailers might expect. To start, we look back at the leuco dye crisis. The abrupt closure of Connect Chemical and other leuco dye suppliers has left several of the 7 direct thermal coaters scrambling to meet thermal paper demand. Those that were most heavily impacted were the coaters located closest to Connect Chemical. In an attempt to stay lean, these coaters were practicing just in time (JIT) inventory. Rumors have it that South Korea based conglomerate, Hansol Papers — one of the world’s top 7 paper coaters — allegedly had only a 2 week supply of leuco dye when the closure of Connect Chemical was announced. Additionally, the global shortage of leuco dye, and consequently thermal paper, has stopped several international paper coaters from taking on any new US customers. Price increases throughout the supply chain will have other converters, wholesalers, dealers, and end users looking at price increase in the very near future. At this critical time, you might expect a US based manufacturer to come in and pick up the slack that international paper coaters couldn’t. However, the timing couldn’t be worse. To compound the increased prices problem, Boise Paper, a US Based manufacturer of label release liner announced that they will be leaving the release liner business to pursue more lucrative products. According to a letter from Diversified Labeling Solutions to their customers, it is estimated that Boise was responsible for 30% of the liner used in North America. Their exit will have a significant impact on both the availability and the price of label release liners in the United States. Rising prices in leuco dye and release liner are not on the only raw materials seeing price hikes. Demand for tree pulp has rapidly increased this year as well. Industry insiders believe that a rise in the demand of recycled corrugated boxes has Chinese paper manufacturers buying pulp in mass quantities, which is in turn reducing the available supply of pulp for label production. 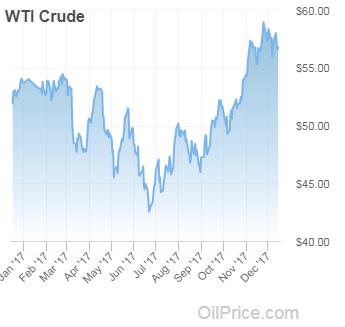 Oil, rubber, and silicone have also seen price increases over the past year as well. This impacts label prices of both direct thermal and thermal transfer. The reason for that is that every pressure sensitive label has to have a silicone coating as a release agent, otherwise the labels would never peel off of the paper. Also, one other thing that we didn’t include a graph of are increased wages over the past 6 years. The combination of these four factors have all weighed into the increased price of thermal paper. 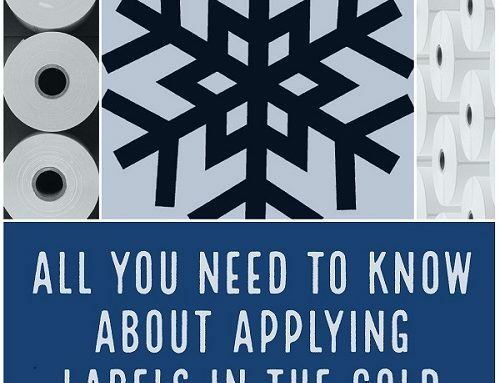 In addition to price increase on receipt paper, direct thermal labels, and thermal release liner, a whole slew of related products could be affected as well. 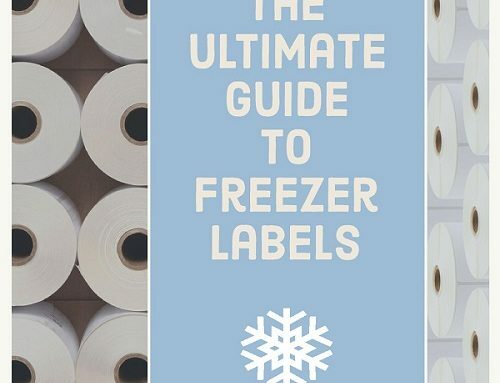 Thermal transfer labels and ribbons are two items that come to mind. 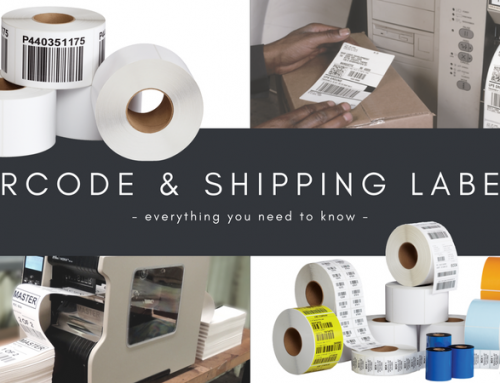 In the world of thermal printing, there are two different types of label paper. One is direct thermal, of which this article is dedicated to. The second is thermal transfer. 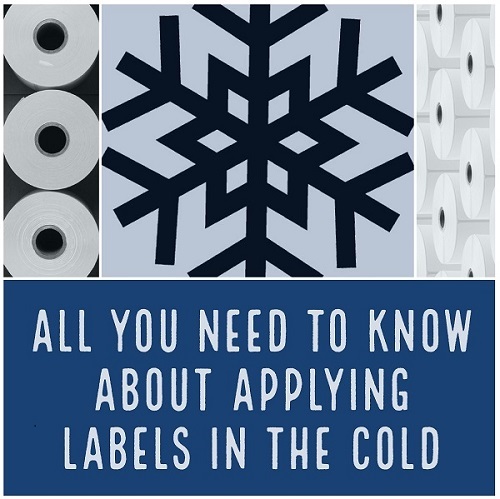 Thermal transfer labels are different from direct thermal labels, in that they require a wax ribbon to print. 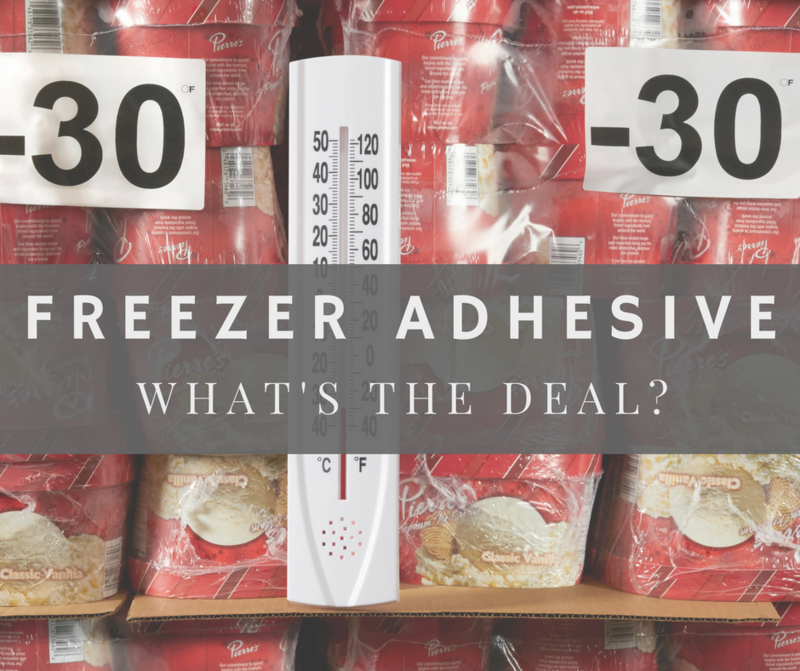 (Click here learn more about thermal transfer vs. direct thermal labels). 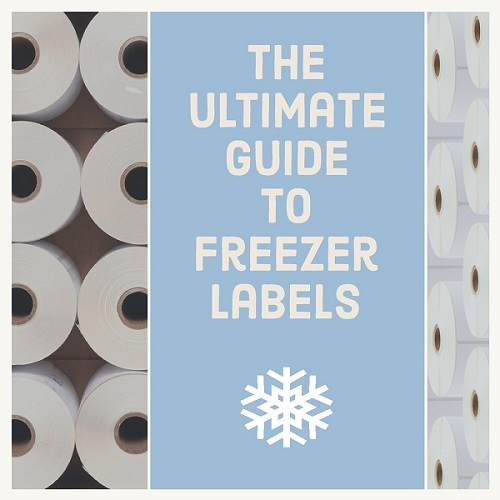 Traditionally, it has been a little bit cheaper to use thermal transfer labels than direct thermal labels. In the short term, that gap should widen as direct thermal prices increase due to all of the factors already mentioned. However, that shouldn’t last long. If a wave of direct thermal users make the switch to thermal transfer labels, we could see a squeeze on the supply of the wax ribbons needed in thermal transfer printers. In 2011, we experienced just that. There was a global shortage of wax ribbons that came as a result of fluctuating polyethylene terephthalate (PET) film prices. The shortage was accelerated by a huge spike in demand for solar panels, which requires the same 4.5 micron PET film utilized in production of thermal wax ribbons. 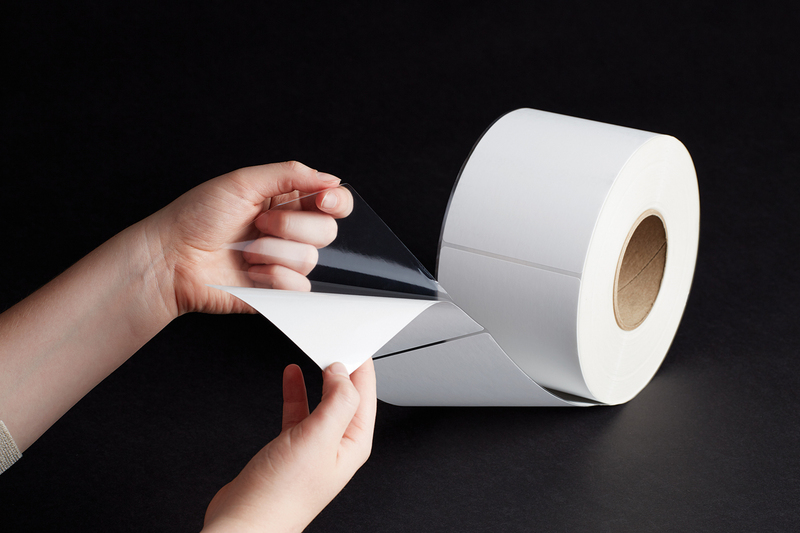 PET film is one of the components that is used to make thermal wax ribbons. This shortage led to roughly 18 months of instability in thermal wax ribbon prices. It is entirely possible that if a high percentage of direct thermal users switch to thermal transfer, there could be a rise in wax ribbon prices. As coaters, converters, dealers, and end users project into 2018, all eyes will be focused on what happens in China. Without a steady and sufficient supply of leuco dye, thermal paper prices are going to continue to rise. What makes this particularly troublesome is that the future of leuco dye production at Connect Chemicals is very much in doubt. 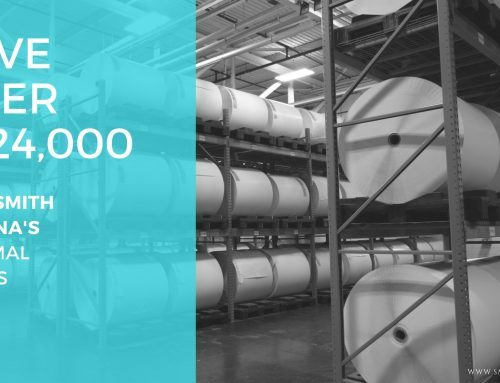 If Gary is right and China is no longer going to be a viable place to produce leuco dye, the thermal paper market could be in for a much longer shortage than initially expected. If that prediction becomes a reality…. 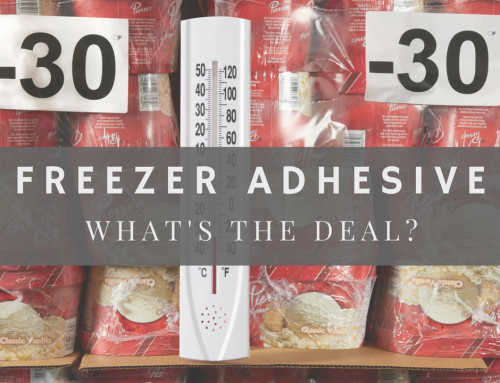 Freezer Adhesive – What’s the Deal?